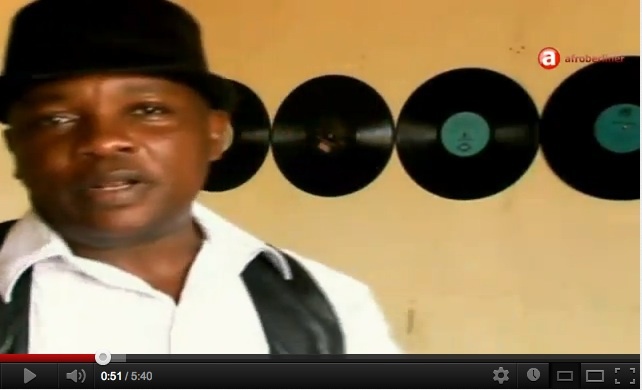 By nature, the music of kadongo kamu was political from the very start. 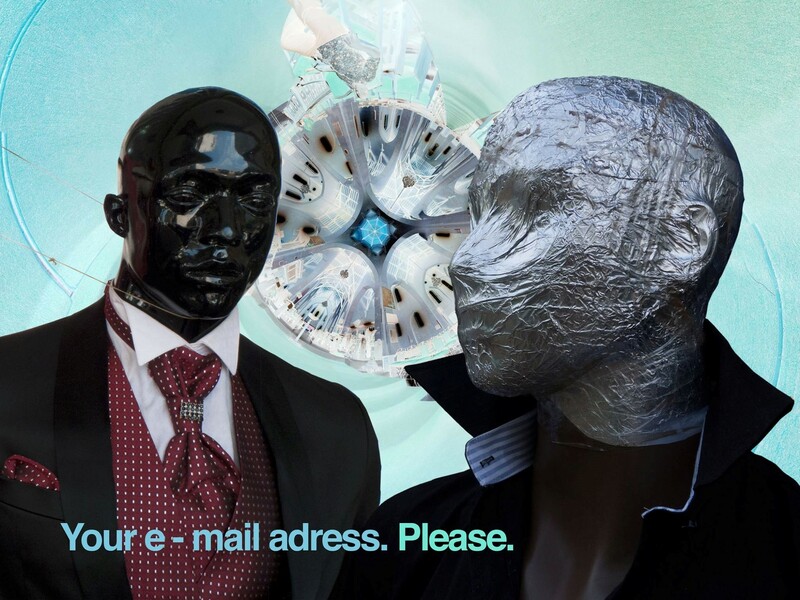 It had to have a message, one which had to be listened to. Musicians in the Buganda region were known to entertain the king, who as sovereign did not simply listen to anyone directly. The musicians, having a paining heart for the issues concerning people and politics, would take from conversations and turn these into music, something quite innocent and dangerous. They had to be brave and bold, also the music (the notes) had to be good too, otherwise they could be killed. Kadongo kamu artist Bernard Kabanda. Speaking to the government, kadongo kamu was walking on thin ice. The Kabaka, ousted from his palace and gone to exile, and the military had little tolerance for these so-called brave messages. This turn of events would lead to a kind of suppression longer than any other known to influence Ugandan arts and culture. “We’re still living in Amin’s regime,” says Francis Manana, an Afro-jazz musician. This suppression is what some scholars of Ugandan Arts such as Angelo Kakande have called ‘Camouflage art’. Deliberately misleading actions have overpowered the original spasm of playwriting, intellectualism, painting and music since then. As many artists feared for their lives, they devised uniquely strategic and sometimes absurd ways of misleading the government of the 1970’s. The visual arts, for example, moved away from realism, and tried to borrow extensively from traditional myths, drawing reptiles and insects to represent people. To say that some Ugandan music has not managed to get out of this state of hiding, is an understatement. Many pioneering voices were killed in this strange burst of egotistic nationalism, implying that no one could criticize the actions of the government. Not even kadongo kamu musicians, who once had the privilege of being heard and respected, not only by a nation of Ugandans, but also by politicians, members of the Ugandan parliament, cabinet ministers and the king himself. An artist like Byron Kawadwa, a playwright and once director of the National Theatre, were silenced by death. I heard from a nephew of his that there was no way the government could have found out about the true meaning behind his plays. It was fellow playwrights who gave him in, and sold out. Other kadongo kamu masters like Dan Mugula fled the country in exile to Nairobi. 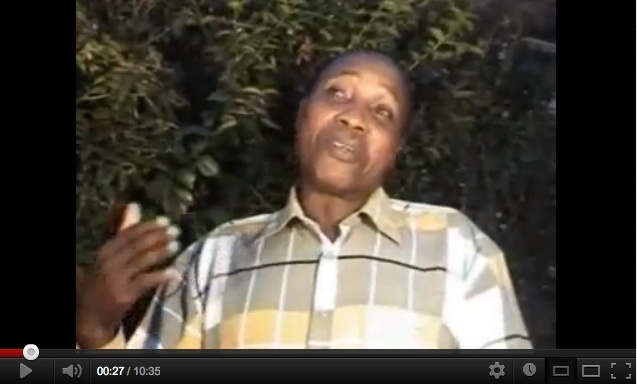 Dan Mugula, screenshot from YouTube. Once prophets, kadongo kamu musicians can no longer stand out from the sea of songs on the radio as a leading voice of expression. Through Hip Hop the young generation has developed ways to speak to the entire nation, and have indeed been heard by the president, achieving in this only something kadongo kamu did 30 years ago. "You want another rap? 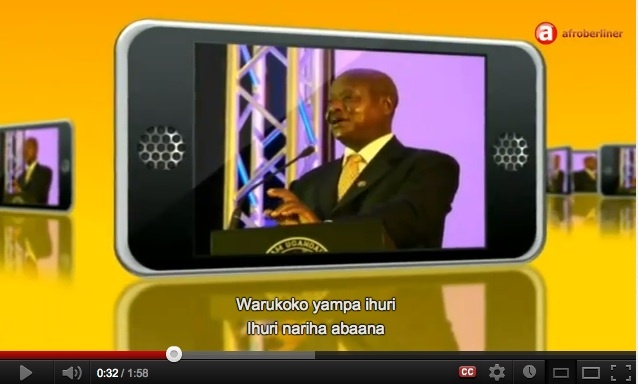 ", screenshot from YouTube. Such outspokenness was punishable by death in Idi Amin’s regime, as he wanted to maintain a fortuitous image before the international press and the global media at large. Local media suffered to no end, through being forced to submit to printing no form of criticism of the military regime, and through positioning Idi Amin as Uganda’s ultimate hero. Or rather, the ultimate kadongo kamu hero. He solely became the tool that changed the ebb and flow of Ugandan arts and culture, even though some artists were still pushing messaged in hiding à la camouflage theatre. Nigeria became the cultural Mecca of the black world in February 1977, during the Second World Black and African Festival of Arts and Culture (FESTAC), collecting over 50 countries from the African continent alone, amidst many participants from the Caribbean and North America. Uganda was represented by a few chosen artists, playwrights and musicians in an entourage that included the Minister of Culture. It was a big deal, and the government thought about how this group of artists would represent the country “well”. Among these few chosen (which left out many outspoken artists) were Eli Kyeyune, who exhibited some drawings in this style referred to as “Camouflage art”. We see Lutembe cuddling a man, supporting him with its tail and assuring him about the protection it can give to his wife and baby. The quote gives insight on what artists had to go through in order to be recognized as artists, which undoubtedly has stayed the test of time. Today’s arts and culture community no longer has to prove to the government that they are worthy as these artists like Eli Kyeyune did in 1977. The festival overall suffered from major backlash and criticism firstly from Nigerian artists concerned about how much money was being spent on the event. These included Fela Kuti, who believed that oil in Nigeria shouldn’t be exported. Nigeria was showing-off how much money it had earned from oil exports in constructing roads, a National Stadium and Theatre, including sending 1000 young men and women to Switzerland to study hospitality and French in order to cater for the participants. The festival showed clearly from the start, in the hands of Nigeria, the relationship between culture and politics, and how strategic this global festival would be in influencing the world economy and international politics. Oil and Nigerian music seemed to have similarities, and became point of active criticism towards the event, which had not been so for the first World Black Arts Festival in Dakar, Senegal. For the Ugandan artists that participated, this was the event of a lifetime. A deep affirmation of pan-African and Africanist philosophies which had been propagated earlier in the previous decade with the coming of independence and rise of African states in the early sixties. Many remarked about how Lagos would remain a lifetime experience. However, at home artists would continue to mislead the government or “hide” in their art. This welcomed the rise of batik art, in its abstract non-pictorial representations of mass murder, war and political dictatorship which were the real concerns. Kadongo kamu emerged amidst another prominent culture of guns. Guns were made popular during the 1970’s and 1980’s not only by rebel groups, but through the military governments in place. Where these guns came from and how they were distributed so effortlessly is still a mystery, but the bloodshed that came along with them is inseparable from that strange buzzing rhyme of kadongo kamu. I remember as a child, picking up shrapnel, bullet shells and coming across landmines in our neighborhood. As playful kids running in the bush, we discovered skeletons of dead people. These memories are permanently etched and are often tied with the melancholy of listening to kadongo kamu. Fred Sebatta, screenshot from YouTube. 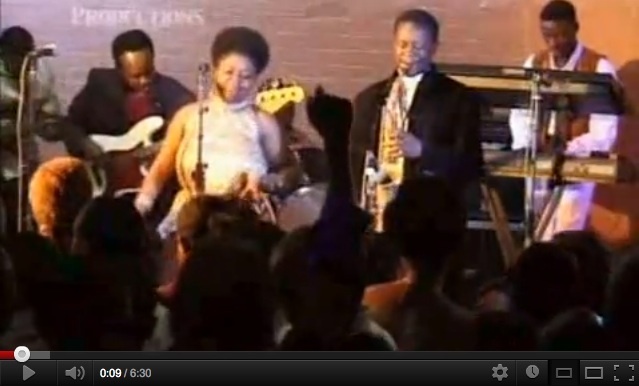 Afrigo Band, screenshot from YouTube. Afrigo is the longest surviving band in Uganda, and therefore by essence and origin it is influenced primarily by kadongo kamu. He says something which strikes a chord with even those in the country. I assume that these house parties would often end up with news from home, in which people would remind themselves of the bloodshed and mass death, and why they were glad to be abroad, making this nostalgia essentially part of kadongo kamu. There has been considerable and controversial debate whether he is really a Ugandan musician, and what it means for him to be Ugandan. He adds that his Ugandan heritage gives his music a different feel. However, there are some similarities between Kiwanuka and kadongo kamu musicians. Kiwanuka got a guitar at the age of 12, and still performs on it even alone. This was typical of a kadongo kamu musician who sung songs accompanied only by guitar and to an audience that did nothing else but listen. He personifies this heroic one-man band, always seeming to intentionally sing a message in songs like “Home Again”, which features only a string orchestra accompanying his guitar and voice. Michael Kiwanuka, screenshot from YouTube. 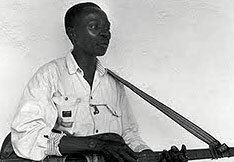 The kind of musician who sings a message alone on a guitar with the sole intention of being heard and deliver a message, is a lost art in Uganda – one which is often claimed to be a Western art form. Is it Soul? Soul, which Maurice Kirya has made us better understand as “Mwooyo”. Kiwanuka discovered soul and jazz a bit later in his teens and this is “what finally made him want to do music.” He sings in a beautiful tone, reminiscent not only of Otis Redding, the soul icon. For musicians like Fela Kuti, this mixture of soul, jazz funk and political messages was a recipe for landmarking success in not only Nigeria but on the African continent in general. He then toured the United States and Europe. Today’s musicians, equipped with a history of kadongo kamu, like Rachael Magoola who I spoke to, are equally dissatisfied with the shape of the music today. There are concerns about whether on an international stage, kadongo kamu can represent a coherent Ugandan identity in its current state, fragmented by lavish instrumentation and irregular and unoriginal melodies from Buganda. It’s consistency is in question. “Even if Kadongo kamu has “overtones” of Baakisimba rhythms and a Ugandan folk lore tradition, it is questionable whether kadongo kamu can be played internationally and recognized as a Ugandan sound, the same way Chimurenga identifies Zimbabwean music, or Salsa Latin American music,” says Rachael Magoola. 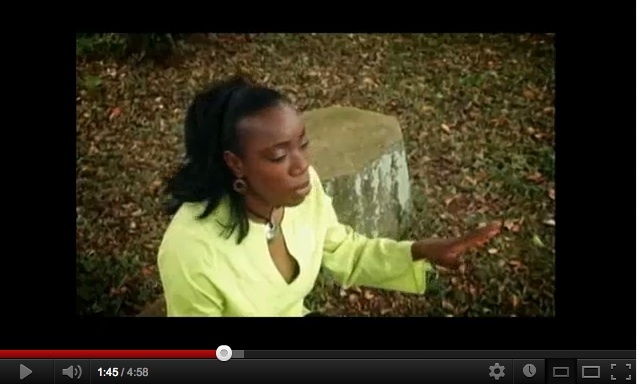 Rachel Magoola, screenshot from YouTube. The dilemma of kadongo kamu lies in this over-cluttering of its pure sound, with Jamaican rhythms and heavy drop-bass such as in Fred Sebatta’s ‘Dolly y’omwana’. It is not so much that other cultures are bad elements, but it is in the sheer lack of academic mastery of the art form in its original scales, melodies and musical language (guitar and voice) that points to a dead-end in the future of kadongo kamu. In all these musicians we can see a willingness to be bold, courageous and possess an African identity in their music. This is perhaps the true legacy of kadongo kamu: the bold, courageous, open criticism of government politics; the bold presence of one man on stage with a guitar; and the innovative interweaving of African music on acoustic guitar. These should be the attributes carried forward unlike the complacent “Camouflage art” that perhaps has survived too long and needs to have its rest. The entire article fails to mention Kadongo Kamu’s premier musician today-Mathias Walukaga or the fact that he is right now crafting some of the most politically and socially conscious and relevant music? Shocking! Hi, does the fact that Kiwanuka disliked Afrigo (which you liken to Kadongo Kamu in style and form) mean that he too refrains from politics as one of the messages in music? Sociopolitical consciousness generates from ‘sentinel’ keenness and awareness of the going-ons within the society. Have we lost that?! You mention Big Fela Kuti in the article, is the type of stage that he had what made him that conscious? The song about his mother (after she had been killed) still gets me.